*UPDATE: The giveaway is now closed – the last counting comment was made by Amy Hudson. We will announce the winner tomorrow morning! All you have to do to enter is leave a comment on this post (one comment per person). 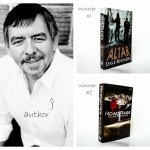 We will pick one winner at random on Sunday January 23rd, 2011 at 9:00 p.m. MST. Comments left after 9:00 p.m. will not be eligible. This giveaway open to U.S. residents only. Happy commenting! I love that cake stand! Love! Love! Love! And it makes me so sad that I can’t win it because I am from Canada. :( We live 15 min from the border to the US and have a US PO Box, does that count? Anyway, I stumbled upon you two via some random internet trail and have been enjoying your posts and candor. Thanks so much for shedding a little sunshine from where you are. Love. I’d love you two forever if you 2 pick me. Who am I kidding? How could I not love you guys! That pillow would look amazing in my living room though! I LOVE the stand!!!! I must have!!! hehe!!! Pick me!! Um, helloooo!! I’m over here… this way! Send it over here! Pleeeaassseee!!! you notice the whole world is obsessed with ME! I love the colors!!! Who wouldn’t want this awesome trio!!! 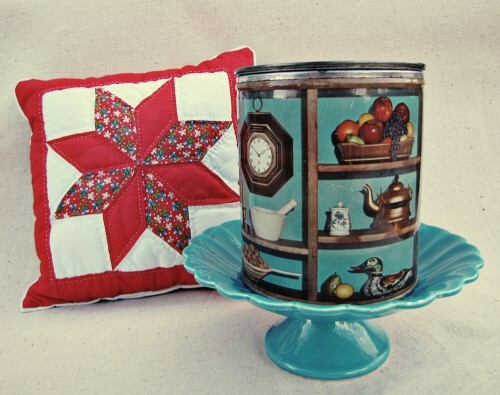 What lovely vintage items that decorate and glow..
and the quilted pillow is such a warm and friendly sight! I love these things. The pillow would look cute on my sofa, the cake stand I would use to hold one of my cakes, and the tin would be perfect for holding tea. I’m loving the cake stand! Oh how pretty! I love that cake stand! How lovely! I want that cake stand. Perfect for my home. As a Chaplain, I appreciate crafted items that the world has stop enjoying. The Vintage Trio would be displayed in our hallway for all to see and appreciate. what a lovely giveaway, I especially love the cake stand, I’ve never owned one and this is so pretty. Would love these prizes, they are very stylish and the cake stand would look beautiful in my kitchen, and yes, I would use it. The pillow is a very practical and would look great in my living room. Oh, these are just wonderful!!! I love all three pieces!!!! Beautiful items, I love the cake stand! I love vintage things! Please enter me. Thanks for the great giveaway! I love it all! The cake stand will look great on my counter full of fresh eggs from my chickens! And I will probably fill the canister with pennies or loose change…The pillow has a wonderful place on my guest bedroom bed! ooooo- LOVE that cake stand! i have a pillow my grandmother made that is very similar to the star one, except it’s in blue! Thanks for the giveaway! 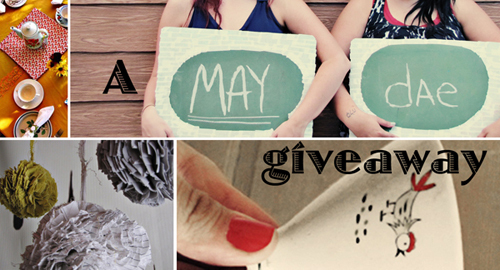 love love love this giveaway! you rock for hosting it! Great stuff! Love it :-) I would be thrilled to win – this old house could use something nice in it! Please enter me in the giveaway. I like the quilted pillow ! I make cakes and I just love this cake stand. I would love to see what I could create on top of it. As for the canister it would go perfect in my vintage farm kitchen. I love this giveaway. I HAVE to have the cake stand!!! Holy Heck I love it! Love your blog, love the cake stand! I am a lover of all things vintage and would be thrilled to have these three beautiful items!!! Ok. So I’m going to bake a cake today in hopes I’ll win! What a great giveaway! All of the items are great, but the cake stand is to die for! The cake stand would look great in my kitchen, so cute. Please enter me, I love these items.. Thanks! These lovely vintage trio functioned as more than just decoration. Quilted pillow was quite common for a home’s bedding to provide warmth.But now they are created primarily for their artistic appeal.Vintage trio…… They are just so beautiful. However, with such endless possibilities for creating a unique piece of art, the biggest use today is a decoration……………lovely. I just love the color of that cake stand, thanks for the giveaway! Great scot! That’s a lot of comments. I wanna win! I wanna win! Beautiful cake stand. I would love to win! Fingers crossed…I adore all 3 but that cake stand is something else!!! Adore it..totally! nice giveaway. I want to win!! All SOOOO CUTE! What a great giveaway!! Love the collection! Thanks for the giveaway! Keeping my fingers crossed. I love anything vintage… but that cake stand is my all time favorite! crossing my fingers forsure! I would love the pillow! It’s beautiful! What a beautiful set! I love the blue stand cannister (the pillow too)…it would really pop in my dark kitchen! The pillow would look beautiful in my Mom’s house, I would definitely give it to her! They’re all so charming! What a nice winter pick-me-up. So quaint and homey! The pillow would look good on my blue couch! Oh my, that cake stand is to die for! Thanks for the chance. I love the cake stand! Thanks for the chance to win! I love all the pieces, especially the stand!!! That color would match a few pieces that I currently own. The items are just beautiful. I am just starting over in a new place after camping out in a friends camper for a while. I have been hitting thrift stores and friends garages to put in my place. Your vintage items would find a useful and loving place in my new home. I would be thrilled if you picked me. This single Mom could use a bright spot in her day. What a wonderful giveaway! These look like fantastic items. I love all 3 of them! I don’t own a cake stand yet and I have been looking for one! Thank you for the great giveaway. I LOVE that cake stand and the color of it! Love the pillow – it reminds me of the quilts my grandmother makes. 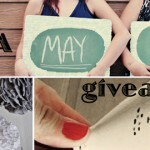 I love all things vintage and would LOVE to win this giveaway! This is a great giveaway! This would be great in our family room. everyone is eyeing that cake stand! Thanks for the oppty! I would love these items! Thanks for this great giveaway! I love your “About Me” page! Oh my. I love the cake stand! I love the vintage look for my home! Love love the canister…I could stand to add this to my collection :-). Would love to win this! Would be great in my new house! I love all of these items. I would be able to get alot of use out of every item. Thanks for such a wonderful giveaway. I love the cake stand! I would love to win. Thanks so much for the giveaway!